Young Kgadi Mmanakana, the possibilitarian from Ga-Matlala in Limpopo, has become one of our newest Play Your Part ambassadors. She joins a select group of people recognised for their ongoing work to make South Africa a better place for us all. Self-proclaimed possibilitarian Kgadi Mmanakana from the small rural village of Ga-Ramalapa in Ga-Matlala, Limpopo, joined an inspiring group of people when she was selected to become a Play Your Part ambassador. Mmanakana grew up surrounded by abuse and violence, but despite this unfavourable environment she never let her circumstances keep her down. In her first year of high school she made a vow. “I am going to make sure that whatever choice I make in my life will take me to a point that I can come back and make a change in my family. And I want to make sure that I live my life as far away as possible from my comfort zone,” she promised herself. It was this oath, she says, that helped to keep her focused on greatness as she went on to become one of the top achievers at her school, unearthing her gift for the sciences. She received four distinctions in matric. Since making her pledge, Mmanakana has gone on to be defined as a philanthropist, as well as a business strategist and inspirational speaker. 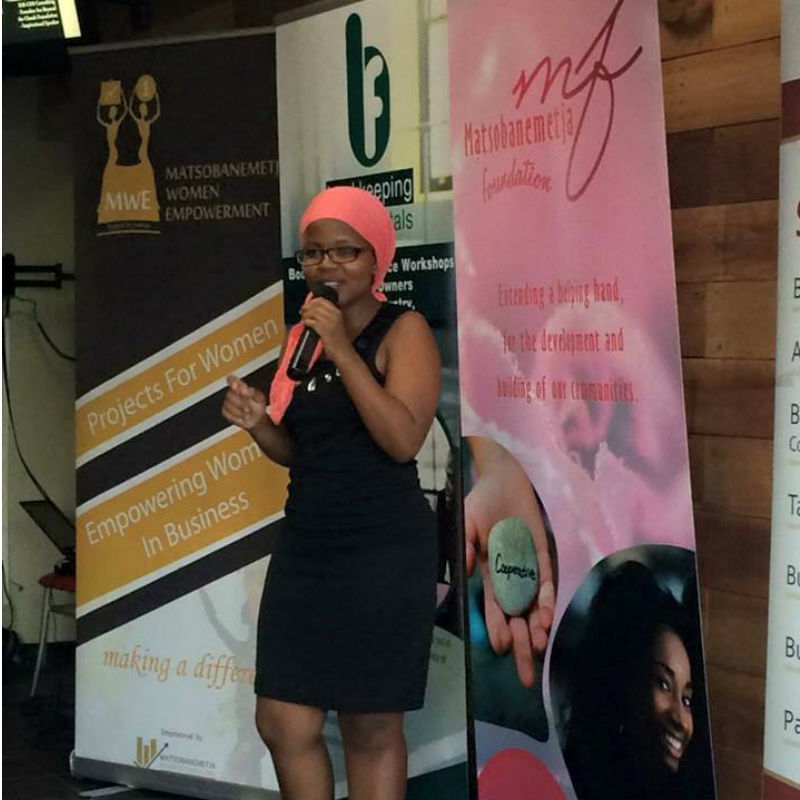 In 2015, when she was just 19, Mmanakana started a non-profit organisation (NPO) to create a better environment for youngsters who were growing up in similar environments to what she had experienced. She named the organisation See Beyond the Clouds Foundation. Being the problem-solver she is, Mmanakana channelled this spirit into the organisation, identifying areas of need in communities, such as computer skills and business know-how. Her foundation focuses on developing ICT skills through computer training and improving access to higher learning through its career development programme, as well as equipping young people with business and entrepreneurship skills through its enterprise development programme. Other than the See Beyond the Clouds Foundation, Mmanakana has also launched Kgadi Mmanakana Consulting and Development Services (KMCDS), a strategy consulting company that designs ways to resolve organisational problems in businesses to improve their performance. Within a few weeks of opening, KMCDS has attracted clients from all over South Africa as well as from as far away as Kenya and Tanzania. Her qualities in the worlds of business and philanthropy, coupled with her resilience and refusal to let difficult circumstances get her down, make Mmanakana the perfect role model for all South Africans.